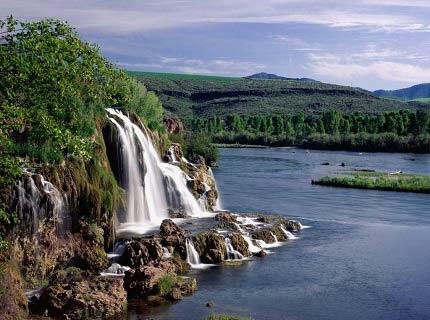 Idaho's nickname is the Gem State because nearly every known gem has been found there. The state's largest city and capital is Boise. The Idaho State Board of Education oversees three comprehensive universities. The University of Idaho in Moscow, Idaho State University in Pocatello and Boise State University. Idaho has three regional community colleges: North Idaho College in Coeur d'Alene; College of Southern Idaho in Twin Falls; and The College of Western Idaho in Nampa, which opened in 2009. I taught second and fifth grade in Utah for 6 years. Then I moved to China to teach Reading to middle school students at an International School. My name is Kiley and I am a recent graduate from Boise State University! I graduated in December of 2016 with my Bachelors degree in Elementary Education and a literacy endorsement. Hello, My name is Ms. F. I am currently a high school science teacher in Eastern Idaho. I went to college at the University of Idaho for six years where I received two degrees. I've been teaching in a college setting for about 10 years and my greatest challenges are students who leave high school unprepared for higher education.